So, at work on Saturdays things can get pretty boring. No one really wants to go to the library and do homework on a Saturday afternoon. So, sometimes I watch movies, and sometimes I do homework or work ahead, but yesterday I decided to do a little craft. Katie and I have name signs on our door, but before they read “Katherine” and “Katherine” so no one ever knew that we lived where we do. 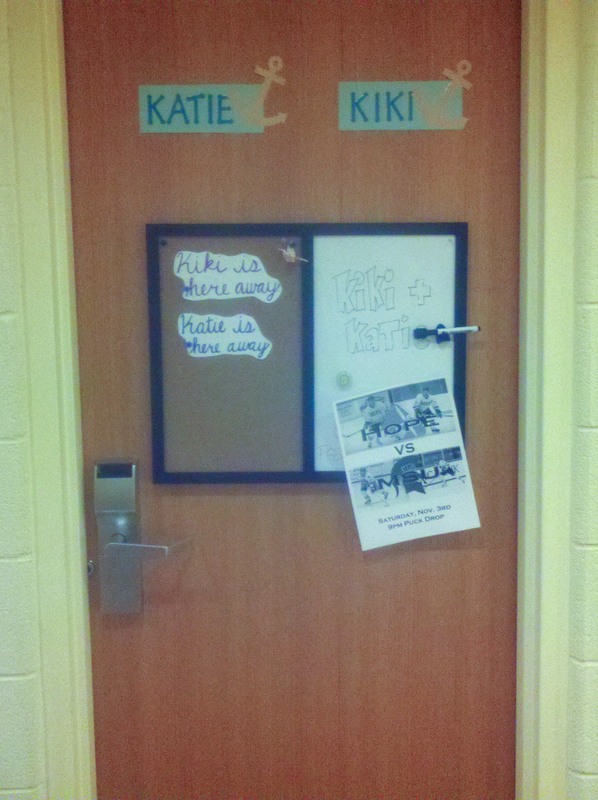 People would tell us that we should put our nicknames up so that they could find our door. Also, we found the old name tags pretty boring. But lets be honest, not everyone is a Picasso, so that wasn’t the end of the world or the main reason I chose to change it up. We also have die-cuts in the curriculum library that I have wanted to use for some time. So I took a slow afternoon as my opportunity. First, I picked out paper. 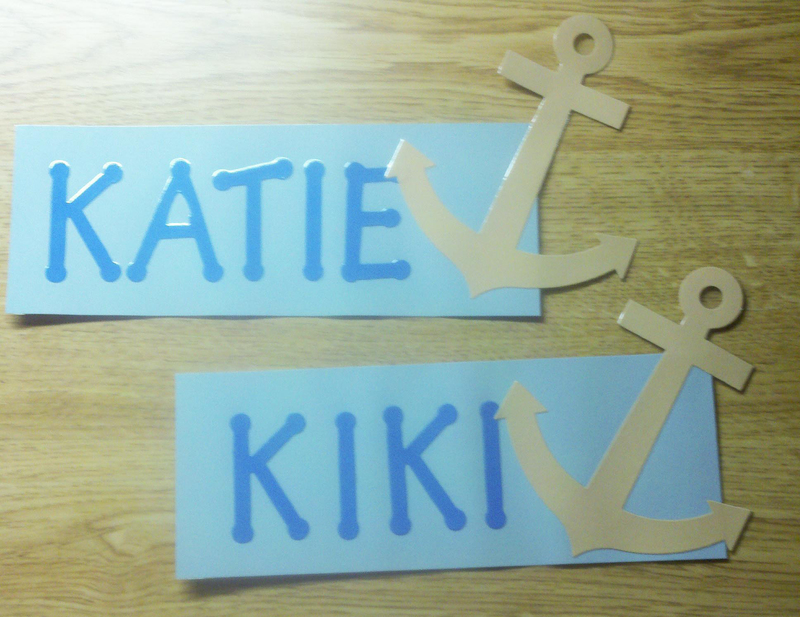 I wanted them to still have a hope theme and the anchor theme of our wing, So I went with light blue paper, bright blue letters, and beige anchors (I wanted soft orange letters and grey anchors but we didn’t have those colors). And I got to work. I cut the anchors and letters first. I chose small letters so that they wouldn’t crowd the anchors. Then I laid it out on the card stock and chose where to make my cuts. I didn’t want them to look dainty, but I didn’t want too much empty space. I used the paper cutter to cut my backgrounds and then just used a glue stick to glue the letters and anchors on making sure they were evenly spaced. Finally, I made the choice to laminate them so they would last longer and look more finished (plus then I didn’t have to worry about the letters or anchors falling off over time).